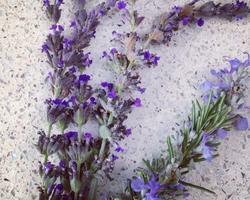 Indigenous to the rocky shores of the Mediterranean Sea, Rosemary officinalis is a versatile herb indeed. It is a woody perennial with short needle shaped leaves that are very fragrant with blue, white, or pink flowers. Historically it is associated with memory and friendship, weddings and funerals, powerful healing and sacred cleanses. Today while rosemary is still studied for is medicinal uses in certain cancers, arthritis, and Alzheimer’s Disease; it is primarily used as a culinary and aromatherapy herb. 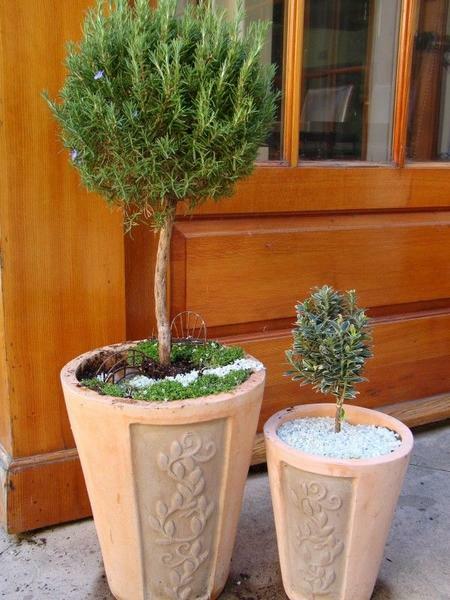 Growing tips Rosemary is also one of the easiest herbs to grow, and for the home cook, believe me, you only need one plant. It’s best to buy seedlings and plant them in well draining organic potting mix. Once they are established, they need little water or fertilizer and can handle salty sea air and temperatures down to -10 degrees Fahrenheit. Keep them trimmed Rosemary also makes a great foundation plant, but it can get big and unruly (not to mention full of spider webs). Prune to shape in the spring or early summer. 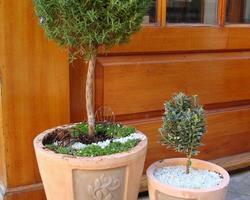 You can also make or buy rosemary topiaries to keep by a kitchen window or outside the kitchen door. Simply snip off what you need with sharp kitchen shears. So many uses I love rosemary on grilled chicken breasts with lemon salt, and pepper. You can also take the woody stems and fashion skewers to thread pieces of chicken, shrimp, or veggies and then pop on the grill. Infuse olive oil by adding a couple of sprigs of rosemary to the bottle. 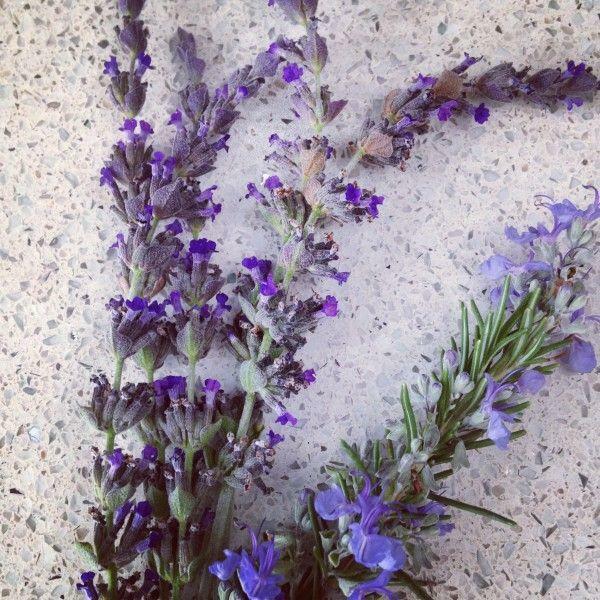 Rosemary is also my favorite herb to use on oven roasted potatoes or root vegetables. What is your favorite way to use rosemary? Leave a comment or tweet me!